Discover why Pool Pros is the leader in pool and spa opening and closings! Provide full equipment inspection and system start report. 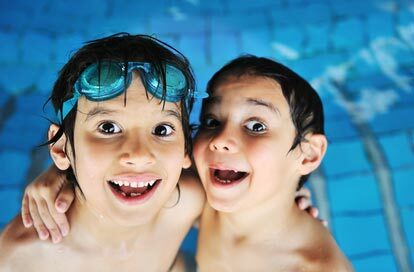 Tech Tip: Only test your water chemistry after all the water has been added to your pool and it has circulated for 8 hours to ensure a meaningful result. Ask us about our spring cleaning services to get your pool cleaned, chemically balanced and crystal clear. We also offer maintenance packages for the ultimate swim only experience! lubricate and / or replace o-rings, gaskets and heater unions as needed. As licensed operators, we comply with all city of Winnipeg waste water discharge bylaws. We ensure your discharged water is de-chlorinated and safe for the environment. Tech Tip: The condition of your winter cover will be critical to a successful opening. Have your water balanced and clean your pool (or get us to) before we close it for a better opening experience. Tech Tip: Keep water and snow from entering the inside of your hot tub by securing your cover. Old covers or hot tub covers that may receive a lot of snow can be supported by placing a 2×4 underneath them. As licensed operators, we comply with all city of Winnipeg waste water discharge bylaws. Your discharged water is de-chlorinated and safe for the environment. Tech Tip: Have your water balanced and clean your pool before we close it for a better opening experience. You will receive a confirmation by email or telephone confirming this appointment. On the day of your opening or closing you will receive an email indicating the estimated time of arrival of your crew. Effort is made to accommodate time of day requests as much as possible given geographical and first come first serve request times. What if there is a delay (e.g. bad weather) on the day of my pool opening? We are proud of our track record when it comes to making our appointments. In the unlikely event we are unable to make your appointment you will be contacted. Regardless of geographical area you will automatically be scheduled for service the next day. Access to your back yard. Any parts removed from the equipment in the fall are left out (usually in the skimmer basket). The garden hose is operational. The breaker to the pump is on. You do not have to be home but don’t forget to leave out the pool cover, water bags, and any winterization supplies (plugs, foam etc.) and a working garden hose. Pool Pros to the rescue! Copyright © 2015-2019 Pool Pros Ltd.